For many in our culture, Christmas begins the second Thanksgiving is over—decorations, music, parties. 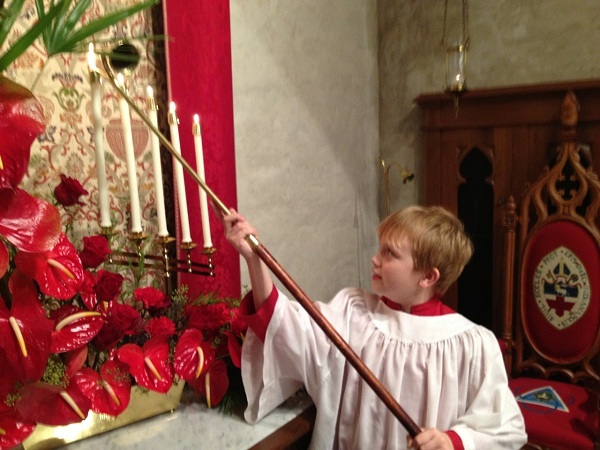 We in the Episcopal Church (and other liturgical traditions) do things a little differently. For us, the four weeks before Christmas are a time of preparation called Advent. Our church is decorated simply in purple and our worship focus on prophecy, expectation, and waiting for the coming messiah. Each week we light a new candle in the Advent wreath and talk about what Christ’s coming means to us and the world. 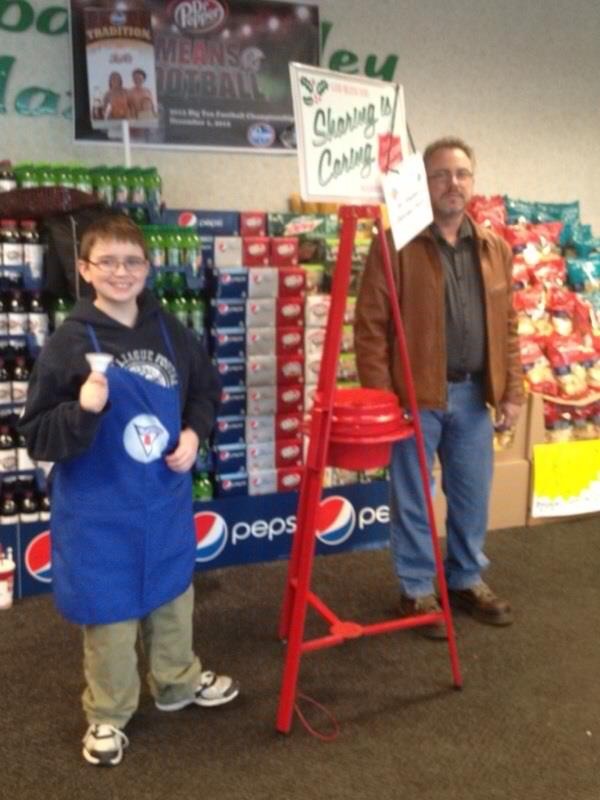 During the Advent season, our parishioners sign up for two-hour shifts as Salvation Army bell ringers at the Kroger South location. This is a family activity for many of us. 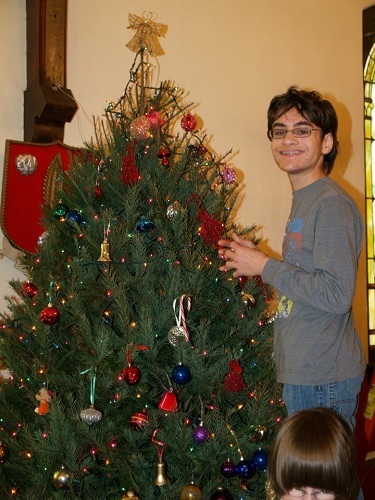 The whole church gathers after church on the last Sunday of Advent to decorate the church for Christmas, wrap packages for our adopted family, and share a potluck meal together, followed by a carol sing and a real flaming plum pudding, compliments of John Salamone and Dennis Dieken. Christmas is here! This quietly beautiful late-evening service is a family affair, a gentle celebration of Jesus’ nativity that often attracts visitors.